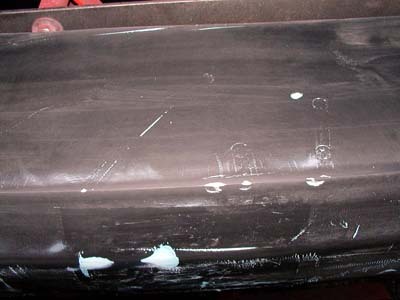 They now make a filler just for rubber (plastic) bumpers. 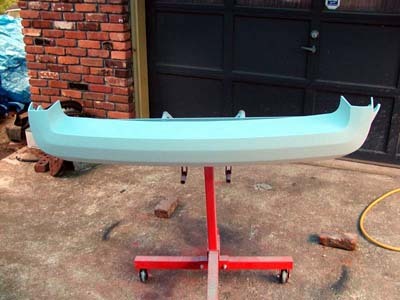 I used Evercoat Poly-flex for my car. 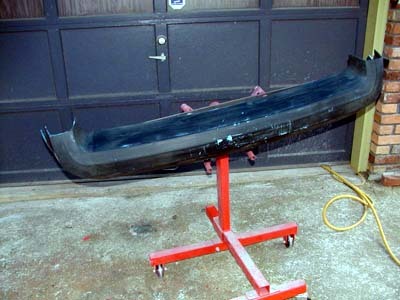 When repairing a rubber bumper is is imperative to clean, clean, clean all traces of dirt, silicone, or other contaminants before doing anything. I violated the rules of purists by painting my bumpers to match the car. I love the looks of it this way, your mileage may vary. 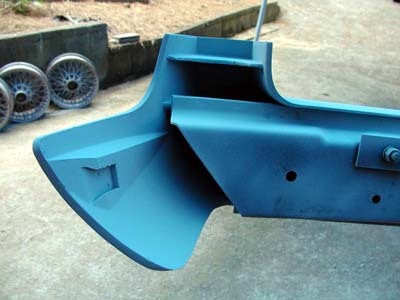 If you want to paint the bumper using real auto paint, just add a flex additive to the paint. 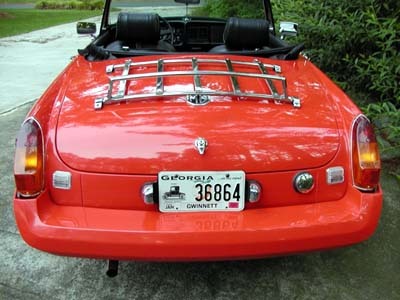 Comments on "Rubber Bumper Rehab"
What did you use for a primer - or did you use any primer at all? The patch material, flexible primer, and flex paint additive are all available at your local autobody supply shop. 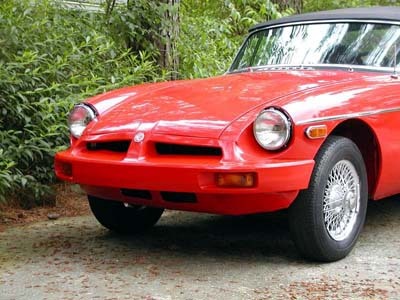 I performed the same operation on the r'umpers of a 79 Midget. For primer, I used black rubber bumper paint from a rattle can and then painted the r'umpers and the car with a single stage urethane. No flex additive used. No cracking, flaking or discoloration for over 5 years now. FWIW, On the flex additive. A PPG rep told me years ago that the additive is only designed to improve flexability for installation purposes. After the paint has fully cured for six months or so it becomes pretty hard. I've seen this myself on late model cars where I used the additive as reccomended. A year or so later I've seen the same vehicle that had obviously had an impact to the bumper and the paint cracked. The bumpers we have really don't flex much so myself, I would skip the flex add. If it gets hit, it will crack anyway. For this kind of mess you really need some roller mops for getting rid of the paint, you should warn your wives, I am telling you this because my husband always makes a big mess in the garage - he loves cars of course and I have to clean it up! So be nice and get one good mop for your spouse. I've been restoring my owm 78 "B" and undecided about doing the same thing to my bumpers. After seeing the photos I have to admit I am less inclined to do it now. It looks great but it's definitely not the look I'm after. I'm trying to get a "custom" look but not necessarily modern and the colour-match bumpers look too modern to me. Two thumbs up for your work though. I'm glad you ignored the so-called purists and did it your own way. I love the boot luggage rack and it's given me an idea to make one with some teak or walnut slats inlaid. I've been considering doing that to my RB Midget & was just trying to find some pics, when I ran across your article.